Do you plan to get rid of the iOS device or old Mac? If you are selling, giving away, or sending favorite Apple computer, iPhone, iPad, or iPod for repair, you should know several secrets that will prevent your personal information from being stolen. Compared to Android and other existing mobile OS’s, Apple’s solution is the top safe one. Even though iOS is difficult to hack, the witty developers continue releasing special apps that can recover the erased images, text messages, call logs, events, docs, and other data in several minutes without special experience. The hackers may retrieve any type of info from the target device. It could be something less meaningful like a friendly chat with someone, but it can be a serious threat like the one associated with the personal bank account. It is important to prevent the scenarios where you lose all money. Serious people like entrepreneurs, managers as well as ordinary iOS users will benefit from installing and using iShredder. This software helps to erase the entire information on the device you would like to give away so that no one will access it. Ensure that the data you consider important has been blacked out beyond recovery. The application works thanks to the better-than-military grade algorithms excellently. The main point is that a user can sell the target device by ensuring the sensitive information is completely gone. Those who have already used iShredder call it one of the market leaders when it comes to safely wiping the data on iPhones, iPads, and iPods. Our iShredder review proves the software really works! In a few simple steps, the applications will entirely eliminate the user’s information stored on an Apple device. iShredder comes in four different editions, each with its separate features and extras. Those are Pro, Standard, Pro HD, and Enterprise. No matter which version a user will choose, iShredder 3 or iShredder 4, he will obtain the main function of this tool. That is destroying all files and folders on Mac or iOS device without a trace. Such data cannot be retrieved then. The trusted deletion algorithms allow users to sleep well knowing they have sold a ‘naked’ device. What about the supported files and formats? iShredder is effective for removing all possible formats compatible with Apple devices of various types: video, images, audios, messages, browser history, login items, etc. It is possible to preview the data before the removal process begins so that a user can leave something on the machine. An app has a user-friendly interface, and it is absolutely clear how to use it. It serves as a perfect system cleaner as well. Once you decide to wipe a hard drive in order to speed up your Mac, iShredder may be the solution. It deletes the files massively. The fact iShredder is available in the App Store means it has no access to information saved by other applications, and iShredder acts within the encrypted disk of the device. In other words, to provide the tool with a free run of the disk, it is important to remove all the data first. Who might be interested in trying iShredder? People who possess confidential data saved on Mac or iOS device (passcodes, banking applications, secret docs, etc.) should select data shredding approach with a higher security such as DoD 5220.22-M ECE, Gutmann or ProtectStar™. It is time to learn how to use this awesome erasing utility on your Mac or iOS device. Download iShredder for free. Do not hurry to upgrade to the advance version before deciding on your needs. Launch the app. Tap Start. Pick the information shredding technique you would like to implement. Tap shred and the process will start. After that, you may not worry any longer about the security of personal data when your Apple device is in other hands. Standard – a standard user’s security. Pro – Highly Secured (iPod touch & iPhone support). Pro HD – Highly secured (iPad support). Enterprise – A user obtains the top security with the help of the same “Engine” as what the Military used. Does iShredder App Guarantee 100% Data Security? 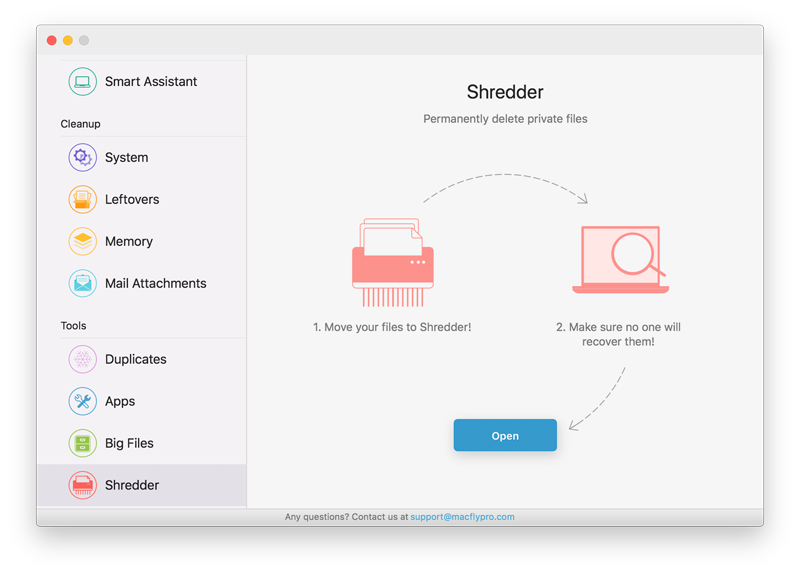 Do you need the best file shredder for Mac? Ask ProtectStar then. ProtectStar is a well-known, trusted app developer, which does its best to assist Apple users in supporting their device’s security. Data deleted is 100% unrecoverable. Even if the spy tries the most recent recovery app from any third-party developer, he/she will fail to retrieve anything. Set to preview mode and select the items to remove. The best thing about iShredder is its precision when it is enabled. The tool checks the device entirely, detects the files, and lets a user pick items he or she does not want anyone else to see for sure. You may simply erase all data after the backup process. Get rid of the existing and previously eliminated information. It means that even if the files you used to remove before still have their leftovers, they will be gone as well. Three possible deletion modes to meet the expectations of different users. You can either get rid of all data stored on the target device, already erased elements, or private data such as documents with saved passwords, bank account info, and more. iShredder 3 Pro and later versions could be your savior in case you wish to sell or give away your Mac or iOS device. Watch out as you will not be able to get back the erased data! 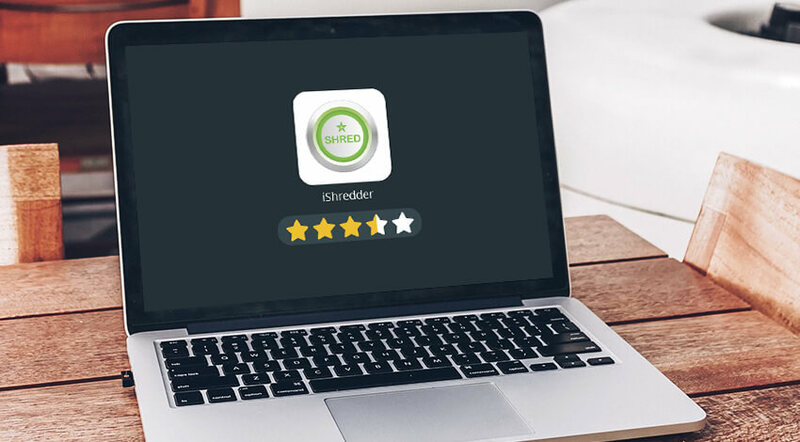 iShredder offers a range of options when it comes to secure file removal. However, an average user may find it to be slightly ‘overkil’ for their needs. Unless you happen to possess extremely sensible data capable of dramatically impacting your business if accessed by third-party, then, clearly, there is no need to take it to extremes. Nonetheless, this puts iShredder in a weird spot catering to a niche market, whereas the majority of users will be better off using other applications with a broader selection of features. A great alternative pick is MacFly Pro. MacFly Pro is a coming-up maintenance utility for Mac that focuses on polishing essential utilitarian features that you will actually use instead of throwing in a number of mediocre gimmicks. What puts MacFly Pro in the spotlight as iShredder alternative are its shredding capabilities. When shredding your data, MacFly Pro sanitizes it in 7 passes — in all zeros, all ones, and random characters. 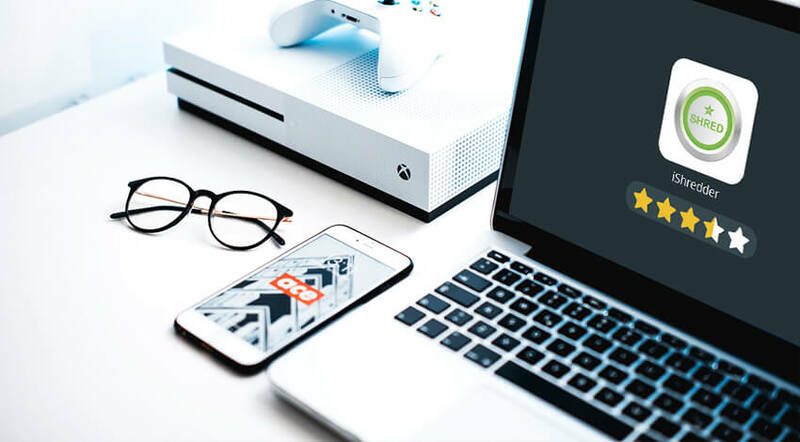 In addition to securing your data, you will be able to find duplicates, fully uninstall unwanted software, clean up temporary files and more.